After an opening day win over the New York Jets at New Era Field, the Buffalo Bills travel to Charlotte, North Carolina to meet the Carolina Panthers. On paper this should not be a close game. Carolina has been a perennial playoff team under Head Coach Ron Rivera, including a Super Bowl appearance. Games aren’t played on paper though, and this game could be a lot closer than many think. Why? Sean McDermott! McDermott spent the last six seasons as the defensive coordinator of the Panthers and he knows the Carolina personnel and scheme as well as anyone. 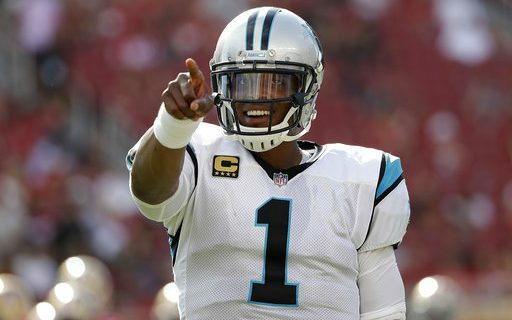 There is not a person in the league that knows the strengths and weaknesses of Carolina quarterback Cam Newton better than McDermott. He knows what kind of defensive formations and blitz schemes bother Newton the most, and he knows how to take away what Newton does best. Knowing what the Panthers are going to do and stopping them are two different things. The Bills defense has to not only put together a solid defensive game plan, but they have to execute that plan to perfection if they are going to have a chance of stopping the Panthers offense. Not only do the Panthers have Cam Newton, but their skill position players on offense are as good as any in the league. The wide receiver group may not be the fastest, but most are big, physical-type players who can easily win the size matchups. Kevin Benjamin is 6’5 – 245, Devin Funchess 6’4 – 225 and tight end Greg Olson who is 6’5 – 255 and plays like a wide receiver. The running back group is led by veteran Johnathon Stewart, another big and physical type who excels at getting yards after contact. His backup is first round draft choice Christian McCaffrey, who has outstanding versatility and can play running back, slot receiver and return kicks. His forte is his open field running ability. The offensive line might not have any all-stars, but they are a very efficient group. In most cases, McDermott might not be involved in the offensive game plan. This week could be the exception as Sean coached this defense for six seasons. He knows what they can and can’t do and he knows what works against them. Like I said about defense, knowing is one thing and executing is another. The Panthers front seven is as good as there is in the NFL and they are especially strong inside at the tackle position with Kawann Short and Star Lotulelei. The ends are Charles Johnson and Mario Addison who might be on the wrong side of 30 but still have very strong edge rush skills. During the offseason the Panthers signed ageless Julius Peppers. He might be 37 and in his 16th season, but he can still make some big plays. Be sure to watch the linebacker group as this is exactly what Sean McDermott wants in Buffalo. Middle linebacker Luke Kuechly has rare instincts to go along with very good athleticism. He’s the the best Mike (middle) in the game. The two outside ‘backers also have a great combination of size/speed and instincts. I don’t feel that the Carolina secondary is as strong has it has been in the past. In saying that, the group is smart. They are good zone players, which the Carolina coaches like to play. Last week against the Jets, Tyrod Taylor completed only four passes to his wide receivers. If the Bills expect to challenge the Panthers that number has to go up significantly. This game is going to be a very tough test for the Bills, but the coaching staff’s familiarity with the Panthers player personnel give them a chance. The current point spread is seven points, the game could be closer than that. Greg Gabriel’s 30 years of NFL scouting experience gives him a unique perspective. Read it every week on Buffalo Sports Page.